The intense and dramatic anime film hit brings the feels home in this release. Seems just like yesterday when I reviewed A Silent Voice during its brief run in select theaters, but it’s hard to believe it was a little over two months ago. Well I’m happy to say the intense bullying and feels are still intact in the home release, which may be hard to stomach at first, but those who press on will be rewarded with a moving experience that lasts long after the credits. If you haven’t already, be sure to take a look at my original review for the plot details and such while I delve into this home release. I’ll admit it was tough to sit down through the painful bullying scenes featured in the movie again, but it was also nice to go through the beautiful and touching moments as well. I also enjoyed seeing details and parts I had overlooked the first time I watched, as these bits made it feel as though I was seeing the movie again for the first time. Speaking of details, thanks to a Blu-ray release (with an added DVD for those who have yet to make the upgrade), the visuals and audio come through nice and clear. This makes the already sharp artwork and animation shine through even more, though it also enhances the hard to watch parts along with the touching ones. There’s a few special features to view over once the film ends, starting with some original Japanese promotional videos, and some music videos highlighting the songs used in the film. It would’ve been nice to have had some cast and crew interviews, some behind the scenes or making of the movie footage, etc, but what’s here will suffice. 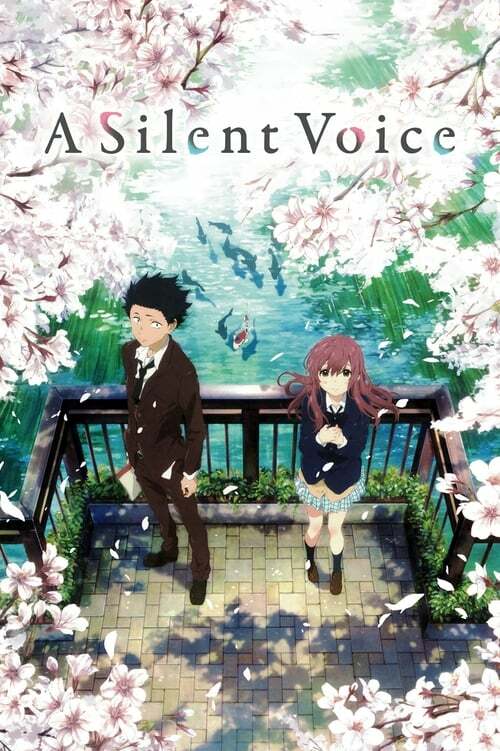 If you’re looking for the next “anime feels” experience, you can’t go wrong with A Silent Voice. The extras are light, and there’s some tough bullying parts that may turn the stomachs of some, but if you stick through the pain, you’ll be richly rewarded with a moving experience like few others.